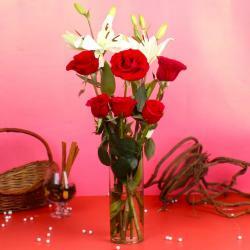 Product Consist : 20 Stem of Red and White Roses with some fillers nicely arranged in a Glass Vase. Love Is All Around for perfect pick to make your lover blush with your bountiful love and affection with Red and White Roses in Vase Arrangement. Looking for fresh roses that are bright, beautiful, and ready to bloom for your occasion. 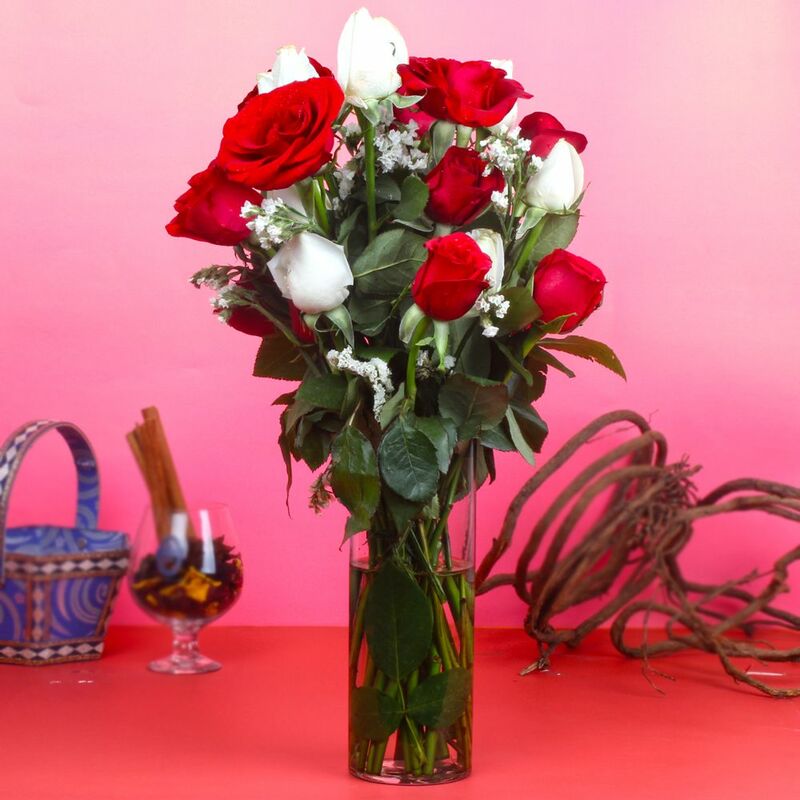 Enjoy this lovely day with special gift like Red and White Roses in Vase Arrangement full of joy and romance, for sure your lovers will say thanks to you for creating such a beautiful moments for her or him. Seasonal flower would be the best option, Anything bright and colourful would be appropriate. And if you will send to your Valentine as per her or his favourite flower than is always a good idea. Valentine day is very important day for lovers as love has no age. Love can't be define it is only observed while sending these types of gifts. This gift combo should be the best bet for Valentine's Day, Birthday, Anniversary and Many more.Giftacrosssindia bring to you a mind blowing collection of Valentine's Gifts that give you so many gift options. Check out our Valentine Gift shop that will help you to choose the best gift for your loved ones. 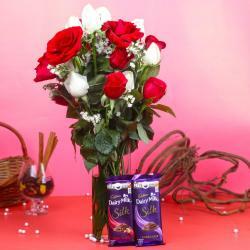 This gift theme is suitable to every person for gifting purpose. Browse your favorite products, it is very conveniently available for online shopping from anywhere in India with Same Day Delivery option. 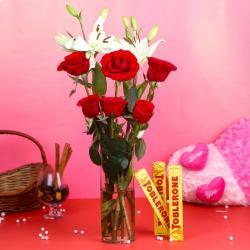 Product Includes : 20 Stem of Red and White Roses with some fillers nicely arranged in a Glass Vase.